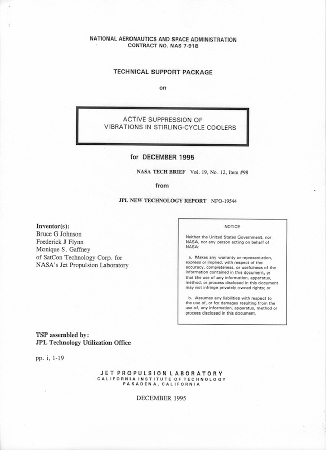 A report presents the results of early research directed toward the development of active control systems for the suppression of vibrations in spacecraft Stirling-cycle crycoolers. The dominant source of vibrations in such a crycooler is its compressor, which contains a piston driven by a linear motor, typically at a frequency between 40 and 60 Hz. NASA Tech Brief. 8.5" x 11"